Lacking any sort of science, and often repeating points. You could read a blog and get as much information as you will from this book. Searching the author comes up with not a lot, so the credibility is lacking - if this was a Wikipedia article, it'd have citation issues all over the show. The language is basic, and awkward listening. 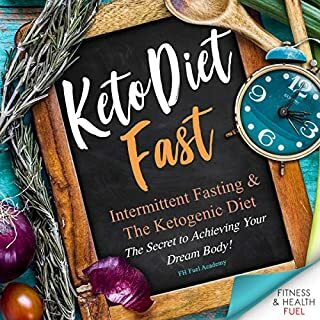 Don't waste your time with this book - do some basic online research first, and go to a library and find a scientifically or dietician backed book.